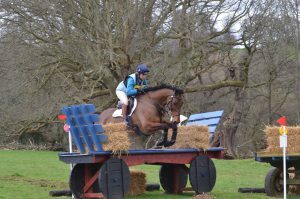 I had Drewmain Firefly and The Last Euro competing in the BE100 at Aldon. Drewmain Firefly was a little feisty and full of himself after his win at Tweseldown the week before. He did a good test but lacked a little concentration at times and scored 31.0. He show jumped well and was unlucky to have one down when he was slightly distracted. He flew round the cross country and gave me a super ride to finish just outside the top ten. The Last Euro did a stunning test to score a very impressive mark of 13.5! He really is a dressage diva! He jumped a much improved round from Tweseldown the week before and was very unlucky to rub the first part of the double. He then jumped in a super rhythm round the cross country and finished 2nd.